This is an off size front wheel bearing for most motivational tubing front wheels. The specs on this bearing are 5/8" ID x 1-5/8" OD x 1/2" thick. Please measure the specs of your front wheels before purchasing. 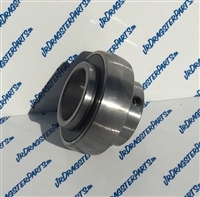 1-1/4" Rear axle bearing, sold individually. 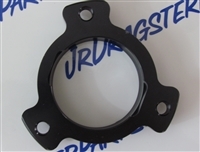 Full Jr dragster bearing kit includes: 4 front wheel bearings, 3 jack shaft bearings, 1 starter nut crank support bearing, 1 clutch side crank support bearing, and 2 rear axle bearings. Specs on the front wheel bearings are .625" ID x 1.375" OD x .4375" thick. May not work with some motivational tubing front wheels. Please check your wheel's specs before purchasing. If you have a motivational tubing car please measure or read the part number on your jack shaft bearings. Some cars take a 1638 instead of the R12. Do you want the most efficiency possible out of your car? This is where you need to be! These things roll like none else and with the grease packed design they are made to last! 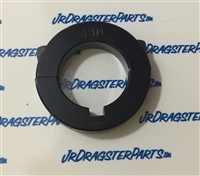 Ceramic bearing kit for those trying to get every number out of your jr dragster! 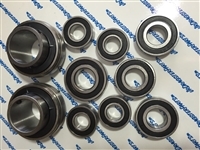 kit includes: 4 front wheel bearings, 3 jack shaft bearings, 1 starter nut crank support bearing, 1 clutch side crank support bearing, and 2 rear axle bearings. Specs on the front wheel bearings are .625" ID x 1.375" OD x .4375" thick. May not work with some motivational tubing front wheels. Please check your wheel's specs before purchasing.